I have received a lot of emails and questions from people about how I create some of the pictures that you have seen on the blog, so I decided to do a post showing you exactly what I did to create a shot. 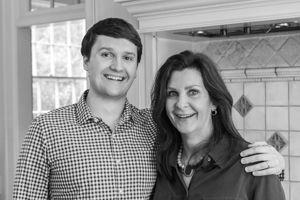 My friend Mollie has a bakery. She was baking a variety of assorted goods for the farmer’s market and let me use one of her almond cakes as a test subject. Before I set up a shot I had an idea of what I wanted the final shot to look like. The almond cake is close to square so I could have shot it either horizontal or vertical, I decided that I wanted a wanted a close tight shot so I went vertical. With the cake being yellow I decided to go with a blue background. I wanted a 45 degree camera angle on the cake so that you could see the top and the front of the cake. 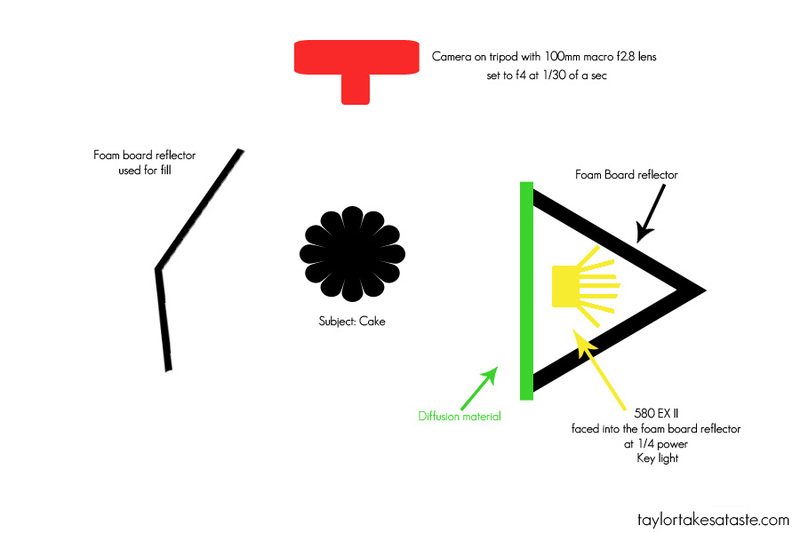 The lighting diagram above shows the set up for the shot and what my settings were. The most important element of this was the light. I wanted a soft natural looking light for the cake. 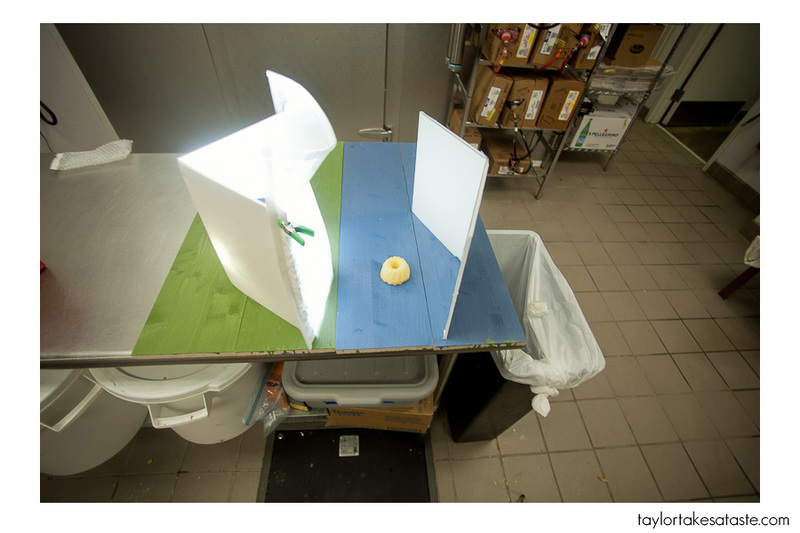 I was shooting in a kitchen with awful fluorescent overhead lighting, so I was going to have to create my own light to get the look that I was going after. When I shoot commercially I have a 1600 watt strobe or a travel tungsten lighting kit that I use, but in this case I wanted to see if I could achieve the results I was going for only using one Canon 580EXII. Here are some set shots to show you what I did. This is a front view, I moved the tripod out of the way. A view from the top. You can see the speed light is facing into the foam and not at the diffusion material. A view from the back. The white reflectors are made form foam board and just taped together with duct tape. Very inexpensive and very easy to make. They are also very lightweight which is a huge plus for when I am traveling. I have one set up on camera right to add fill. 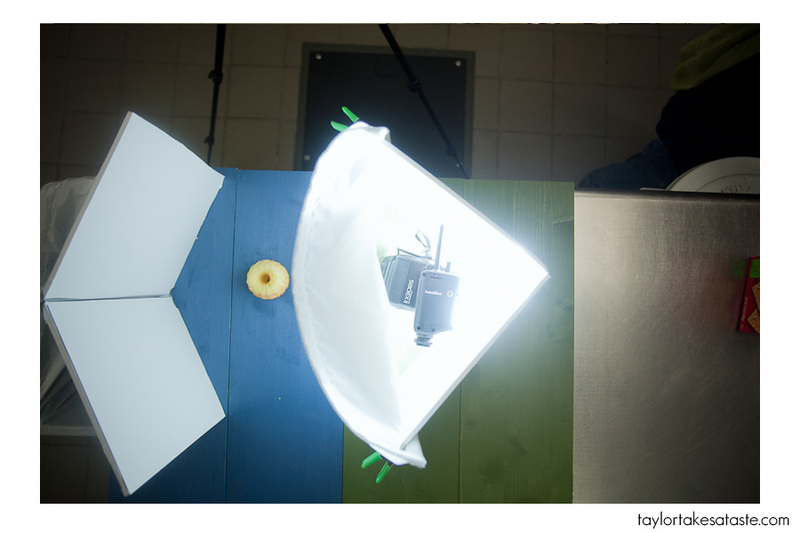 The key light is a 580EXII facing the V of the reflector. The diffusion material ( It is a lining from an old softbox, nylon fabric that lets some light through but not all. Creates a very even soft feel to the light.Pocket Wizards were used to fire the flash. After playing around to get the correct exposure and adding raspberries here is the final shot. I hope you enjoyed a little behind the scenes view of how I made this shot. If you found this helpful or there is anything else you would like to see I would love your feedback or comments. Wow. What a detailed, informative post. The photo looks absolutely perfect. I love what correct lighting and background can do to a photo. Thank you for these tips and information. I look forward more posts like this. Thanks Memoria, I am glad this could help. Such great info and photos! OH MY GOSH. you are totally awesome. I have just started a cooking blog and I am completely useless at taking halfway decent shots of my food. Its such a shame because I feel like the stuff I make just doesn’t live up to the photos. This post has been a HUGE help. I now actually have some idea how to do things! Thank you so much!!!! That is a simple yet very effective set-up! And hats off for the cake picture. The one question I have is: how do you fire the EX flash? Do you use a cable, or …? I used pocket wizards to trigger the flash. You can also use a sync cord (something like this http://www.bhphotovideo.com/c/product/613667-REG/Impact_9031490_Sync_cord_Male_PC.html may differ based upon your flash and their are varying lengths) Hope that helps! Wow, Taylor. You are insane! I had a hunch, but now, seeing your blog I know it’s true. You’re on fire, and I’m glad to have met you at the Food and Light workshop. I’ll be visiting often for photographic inspiration! Thank you for the kind words. It was great meeting you at the workshop as well! This is soo helpful! Thank you soo much for the post! Great detail, concise information. I better pay attention. Wonderful shots of the entire set up. Thanks for you time. I enjoyed this immensely, thanks for the behind-the-scenes look! 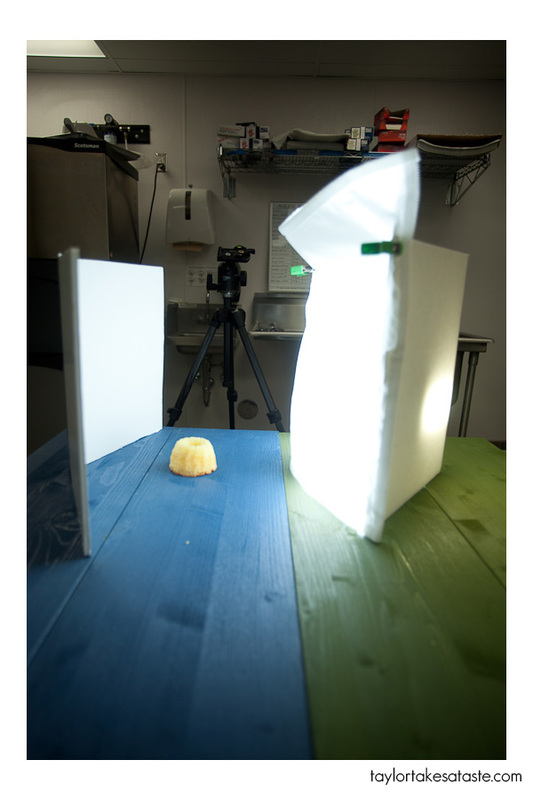 This is a fantastic demonstration of how to achieve professional looking food photos. I’ve always wondered how people achieve such professional looking photos on their food blogs and what equipment they use. It definitely gives me some ideas on what to do in the future as to do date I’ve simply been using natural lighting. Thanks taking the time to write this tutorial. 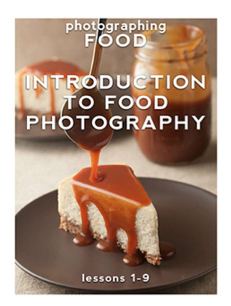 Your photography is wonderful and yes, it makes a person hungry! I enjoyed the behind the scene look at how you achieve your brilliance, but I have an additional question: After you take a shot like this, what sort of post-processing do you do, if any? Any certain programs you use over the other? 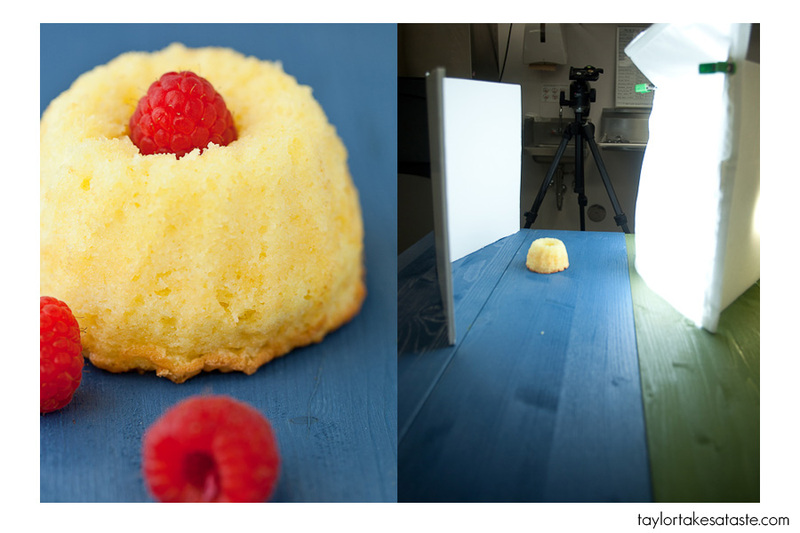 Have you thought of doing other mini tutorials on how to achieve nice-looking shots for food photography? Great website and blog. There is nothing better than travel and food! Thank you for your comment. l use Lightroom 3 to do my editing. Just slight adjustments. I try to light everything so that it does not really need to be changed much in post processing. I did this tutorial for food blog forum http://foodblogforum.com/1270-control-the-light I hope that helps.Thanks again for your comment. I had a question regarding food photography and photoshop. I wanted to know if it is possible to create good images without photoshop. Also as an amateur photographer if it is possible to use any other cheaper lamps or light sources and supplement them with photoshop. Thanks for the great info. I am curious, do you bring this set up with you when you travel? I know you could use window light to get the same effect, but when you are in a restaurant without how do you photograph? If it is a paid client assignment, I will bring additional lighting gear. If I am doing it for the blog I will try and find the best window light to use. It all depends on what the pictures are for. Thanks so much for your post! It’s so helpful! I was just wondering what type of tripod you use, and what the diffuser is made from. I’m starting to do more photography and I’m using a Canon T1i, so any suggestions on supplies for good lighting would be awesome! This is a very broad lighting question. But how do you determine the proper exposure when you’re doing this. Is your speedlight on manual? (I actually have the 580ex too so thats helpful). Do you use a handheld meter ever? I would need to see the picture to answer that. Exposure can be somewhat subjective. I did use my speed light on manual in this situation. I use a meter sometimes with people, but not with food. Hope that helps. I am thinking about doing an exposure post soon. Such a great lighting lesson..thank you! Thanks for showing this. I did not want to buy the Lowel Ego lights. Photography is a never ending money pit. Always looking for DIY. This was fantastic. I am so pleased with the outcome of my recent photos using this method. 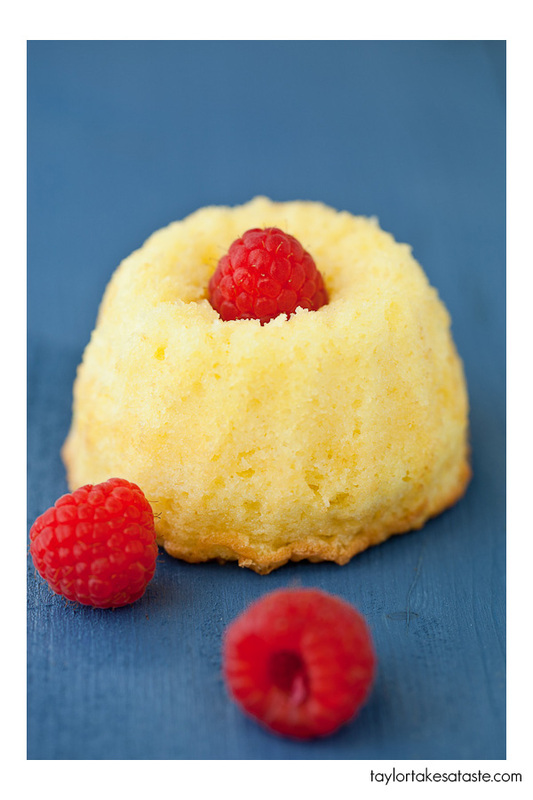 I just got my first photo published on Foodgawker after reading your amazing tutorials. This comes after 11 failed attempts before reading your tips. Just wanted to say thanks, and please keep up the wonderful work! Wow! Please keep the tutorials coming! I look forward to the next one. Thanks so much for all the great tips and tricks! I am a Chef and have been cooking for close to 15 years. Over the years I have photographed my food with a couple of point and shoots with not much success. Recently I have invested in a new DSLR and diving into the world of fine photography. This site has been bar none the BEST place for me to learn how such beautiful shots are created!!! Thank you so much and Great Work!